Medical research institutes are dynamic and diverse workplaces. 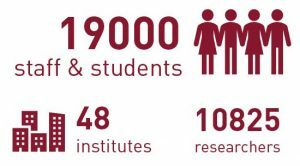 Alongside research staff and students are professional and support staff with diverse skill sets and backgrounds such as business development and commercialisation, IT and data-driven industries, human resources and finance. The total workforce has increased by 21% in two years from 2015 to 2017 (1). 71% of AAMRI’s workforce are working at an independent MRI. 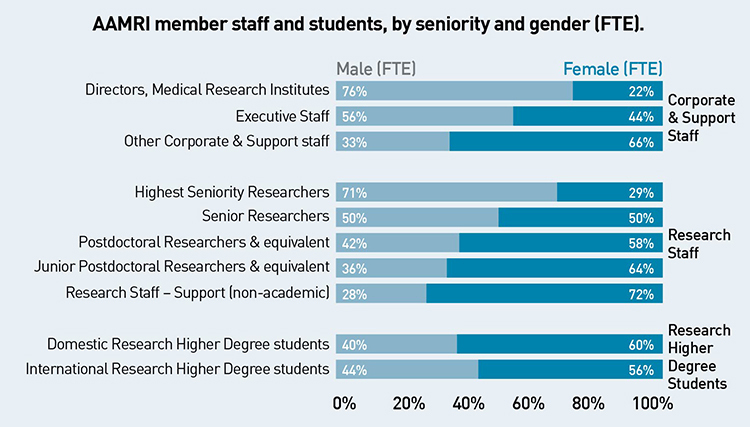 For the first time, AAMRI has conducted a study of gender balance among MRI staff at different seniority levels. AAMRI member institutes have a workforce of more than 60% women but 60% of senior positions are held by men. (1) AAMRI Workforce data presented here represents AAMRI’s 48 members at 1 July, 2017. At 14th September, 2018, AAMRI has 50 members.